A mini-skill in Kazzola is the combination of a trigger and action that together makes up a mini-skill. 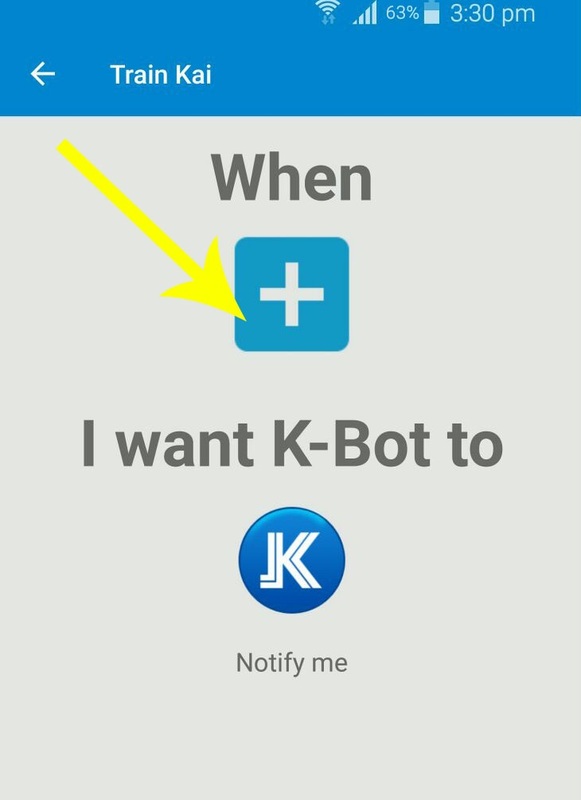 For example, you can create a mini-skill that sends you an email every time you get a SMS on your smartphone. Enteresting huh? Lets see you can you create your own mini-skill with shortly. Follow the simple steps below to create a mini-skill. 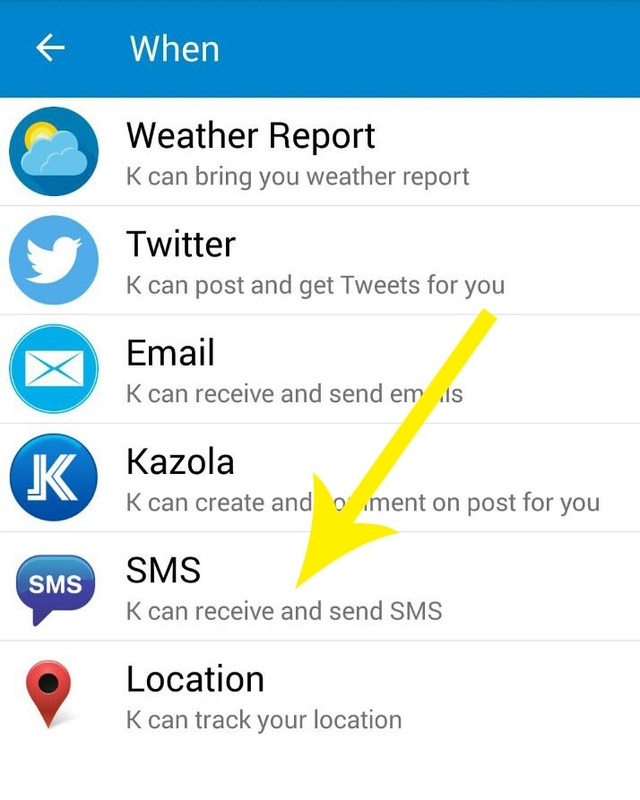 To explain the process, we'll create a mini-skill that gets triggered every time you get an SMS from a specific phone number, and as an action you get a Kazzola specific notification. 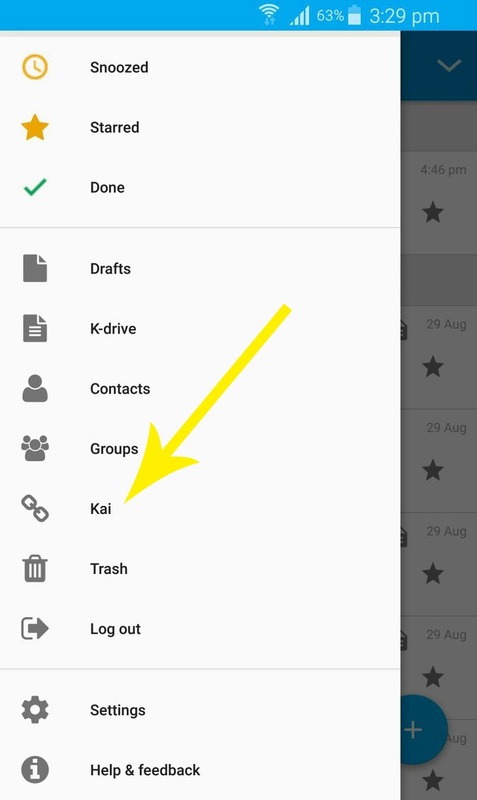 Click on the 'kai' menu item as shown in the screenshot below. That would take you to the mini-skill builder, that we'll take a look at in a moment. Click the plus icon as shown in the image below that takes you to the visual screen where you can choose your mini-skill's triggers and actions. Below you can choose triggers and actions for your mini-skill. Click the plus icon and choose your first trigger. You'll be giving a list of triggers that you can set. Lets choose SMS trigger in our test case. Take a look at the screenshot below. Once you've selected a specific trigger, you'd then choose its appropriate triggers that would actually determine what and when gets triggered. 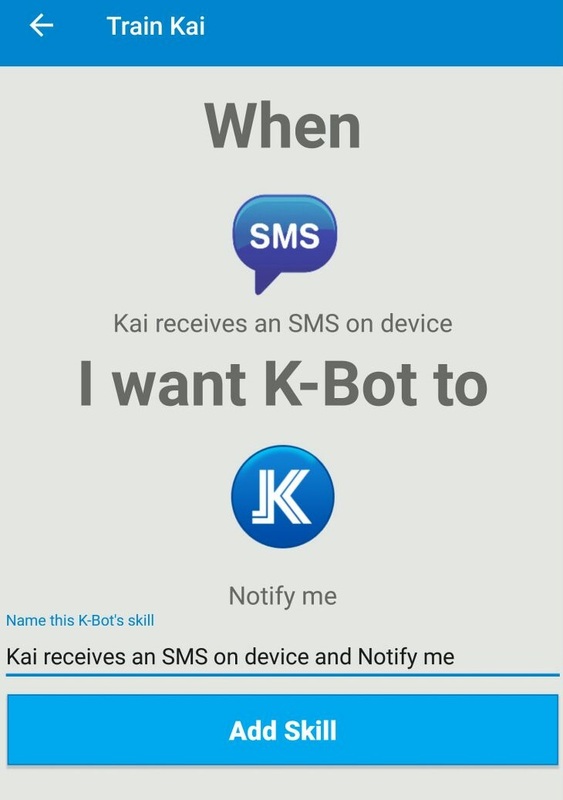 In our example, we'll choose 'when Kai recieves an SMS. The same goes for actions and its respective options. 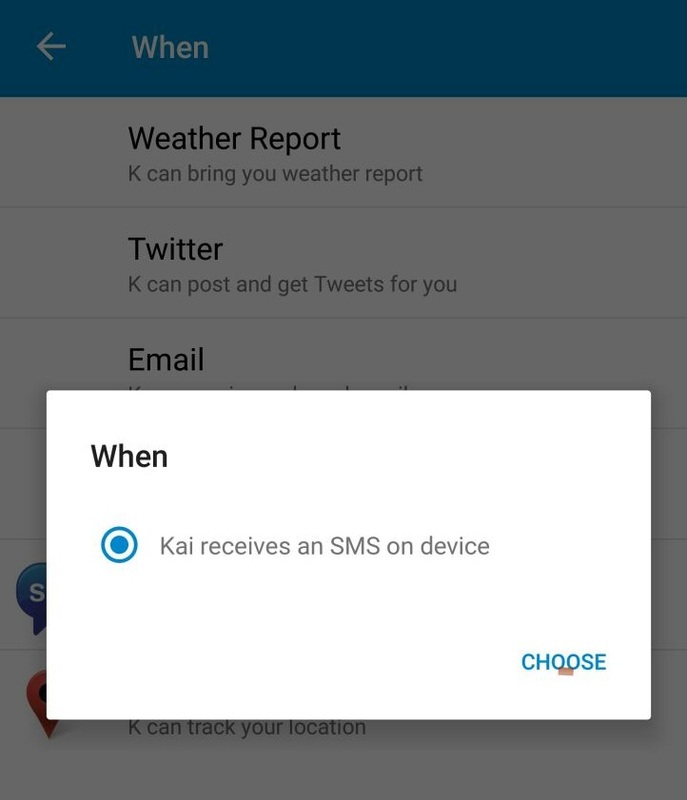 In our case, we'll choose 'when kai recieves a notification' action and head on to save our mini-skill. That's it That's all what it takes to create a mini-skill. 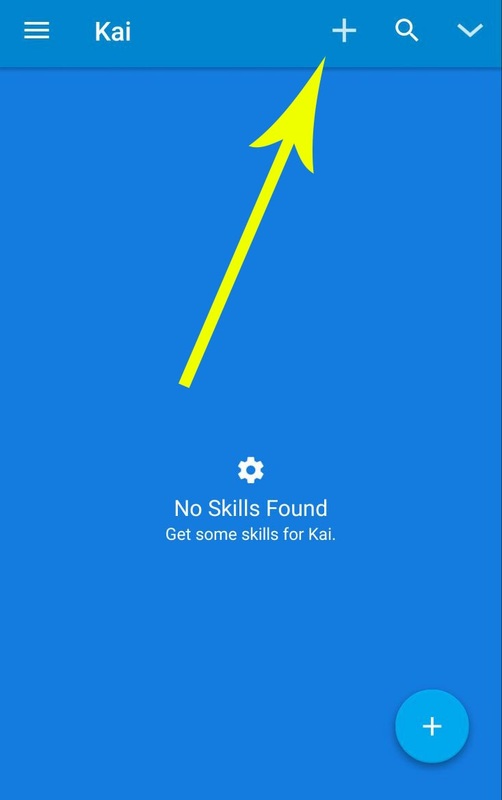 Simply click 'Add Skill' Button and you'd be taken back to your Skill list. From there, you can toggle a certain mini-skill too.